USB Serial Box, Converts USB to a serial port to hook up external Serial Devices. This is perfect for use with serial devices that you would want to convert to USB. This unique cable allows you to use bridge/connectivity between the Universal Serial Bus (USB) and Serial Port Interface. The USB PDA/Serial Adapter provides you with an external serial (DB- 9 male) Plug-n-Play connection for use with computers, notebooks, and hand held computing devices that support USB. The PDA/USB Serial Adapter has a standard type A USB plug. 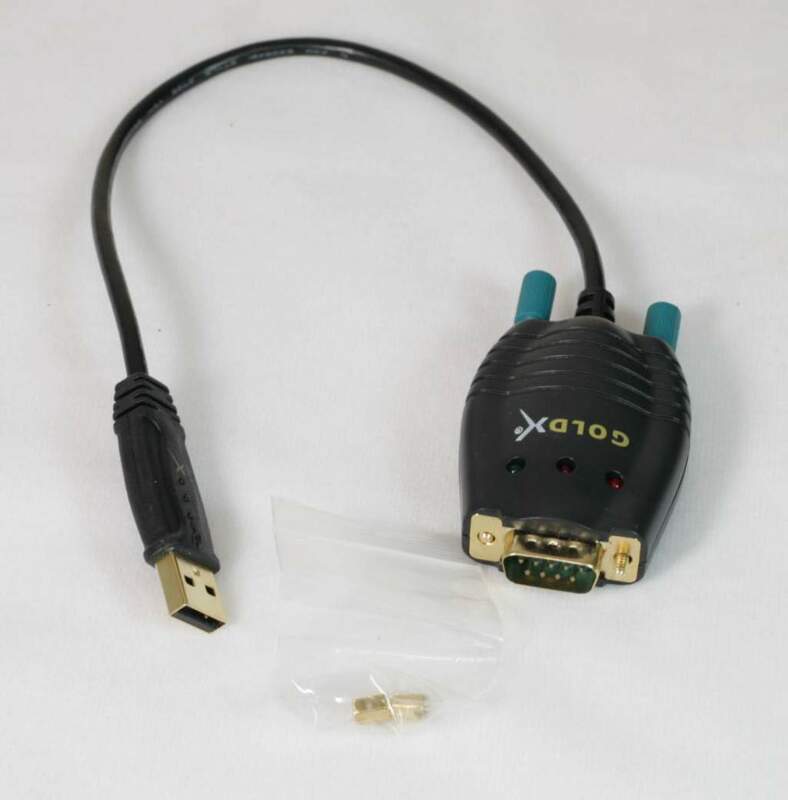 This USB PDA/Serial Adapter provides PDAs, digital cameras, modems, and ISDN terminal adapters with high quality serial connections at a data transfer rate of over 500 Kbps. This makes the USB interface transparent to serial peripherals, allowing them to easily interface with USB computers. This eliminates the setup hassle found with traditional serial port connections. This device also supports energy saving suspend and resume operations.